You got mail! 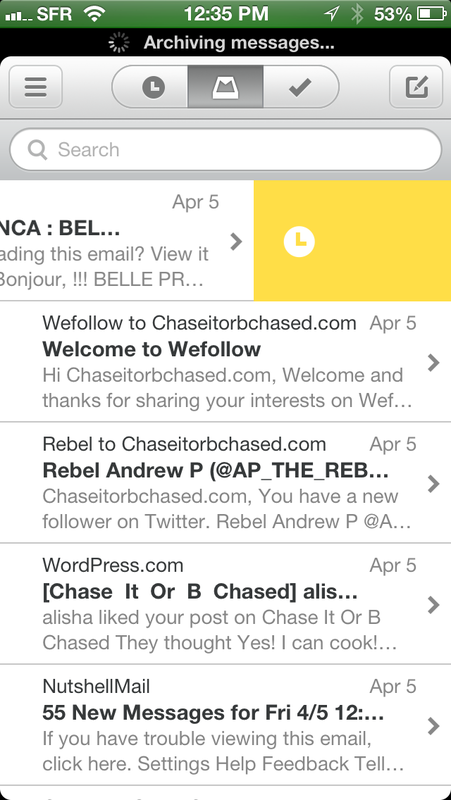 In your #MailBox!! So I waited for many days and now I got it. 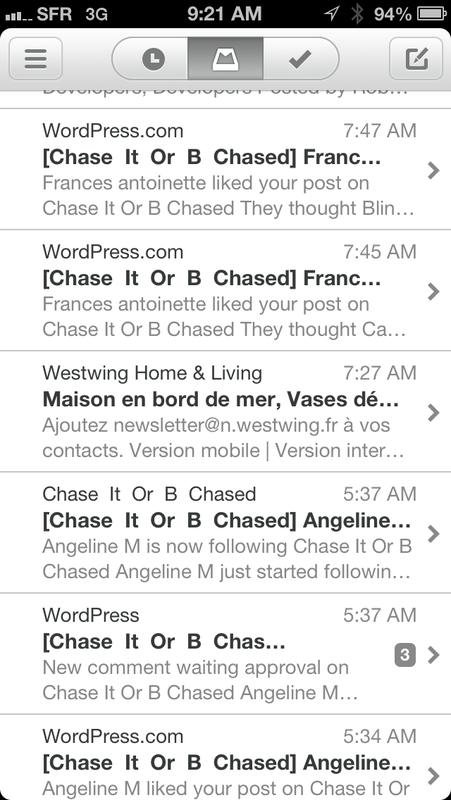 Was it worthwhile to have the mailbox? 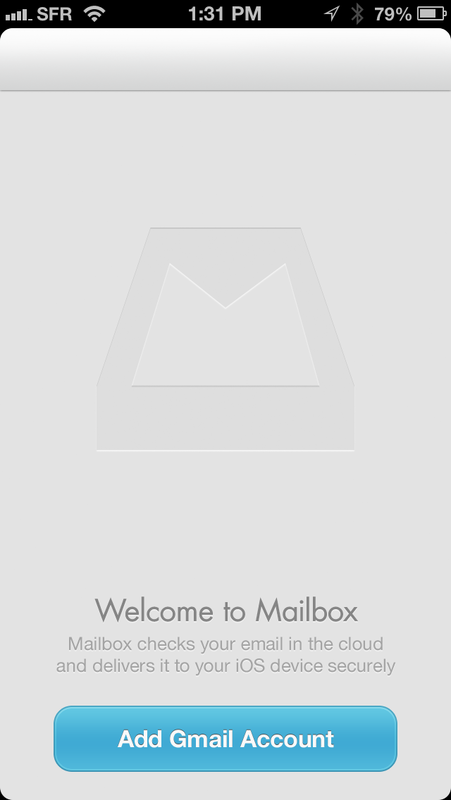 1st, you need to know that the Mailbox can only be used with gmail accounts (it take 3 minutes to create one if its not already done). 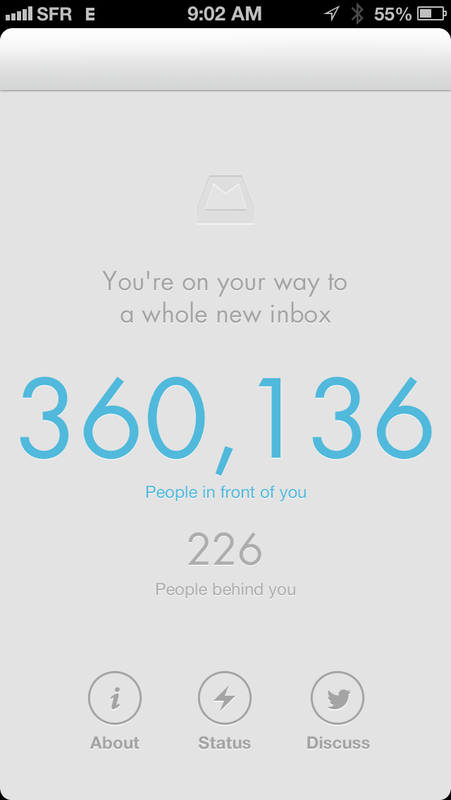 Mailbox is free to download, then you’ll have to queue to actually being “activated”. Instead of the app you’ll have a nice countdown with the persons in front and behind you. So after about 10 days of wait, I finally was granted the right to use it. 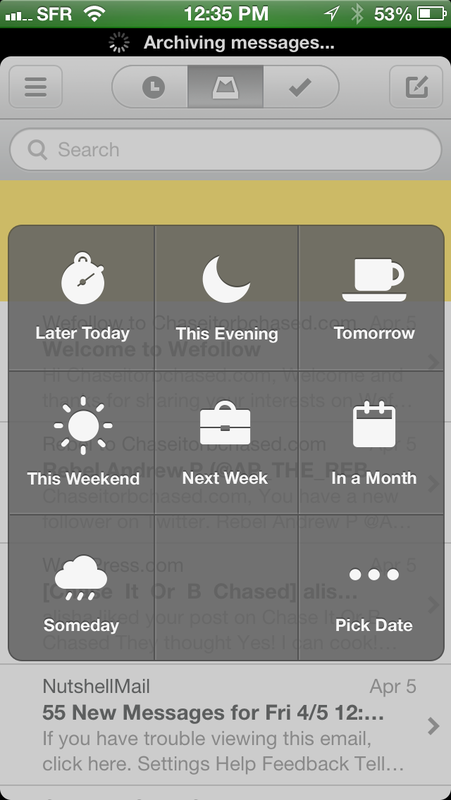 It’s really a cool app that totally embraces the iPhone’s gestures. 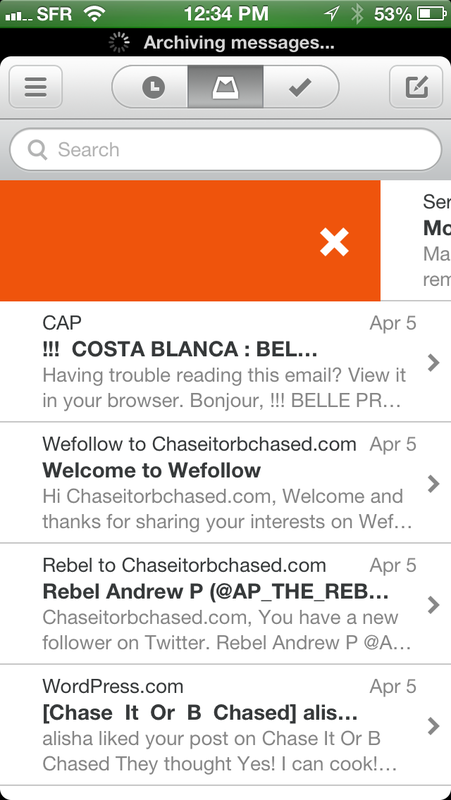 Basically if you can swipe horizontally, you can use Mailbox which is all about swipes!!
. 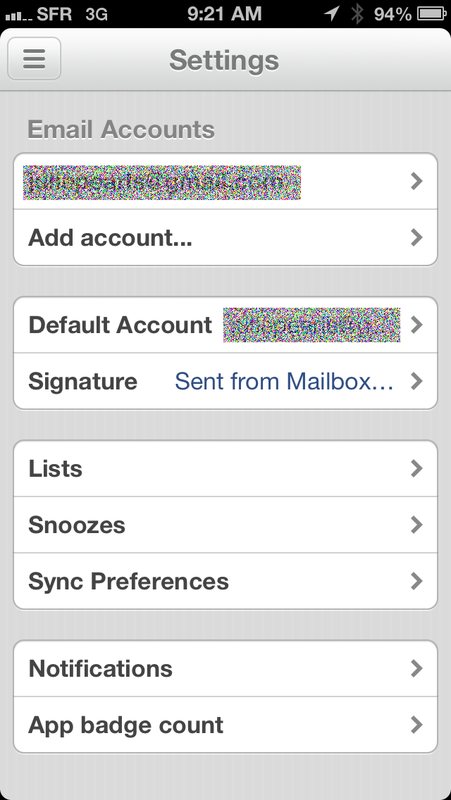 Short left swipe, the mail goes straight to the Snooze mode (that’s the great innovation). 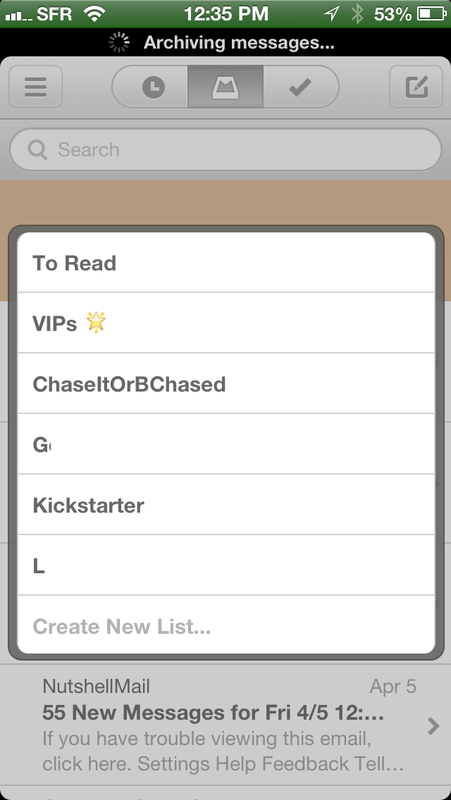 you’ll then be able to read them later whenever you feel like it. you’ll never forget to answer a mail! 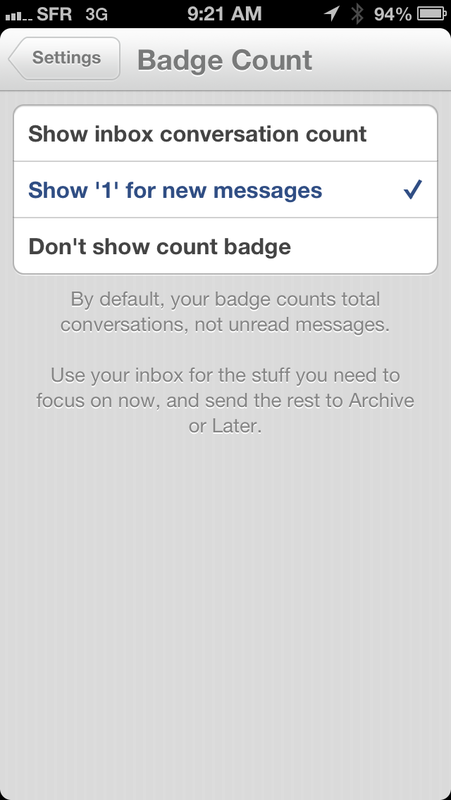 Also, Mailbox gives you the possibility to archive all your mails, so you start from a clean slate. 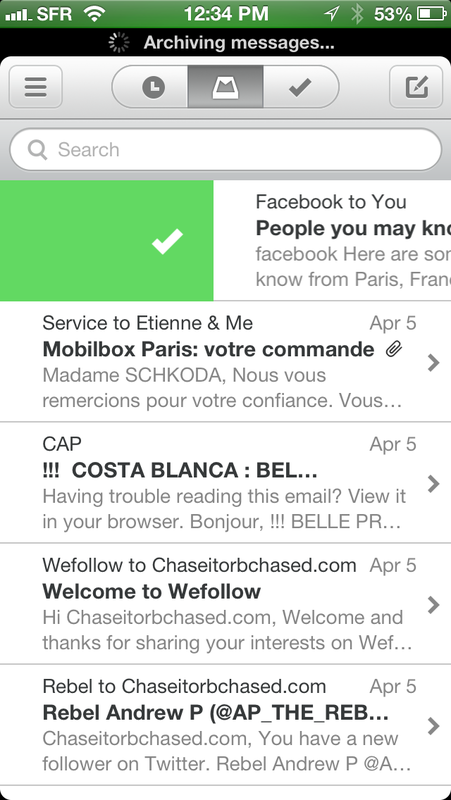 Play around, mails can be fun thanks to MailBox. ← Blink my cable ? Ahhh!! I thought it was for Android OS phones – oops! Great app ! Love it ! 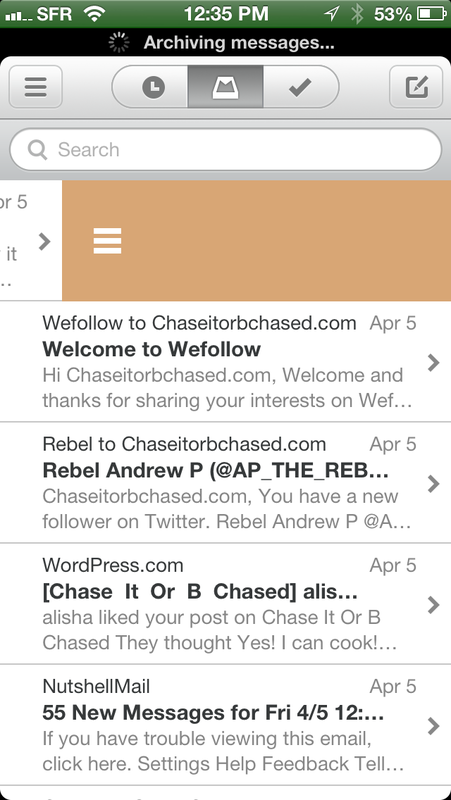 I think I’m still going stick with Apple Mail app. 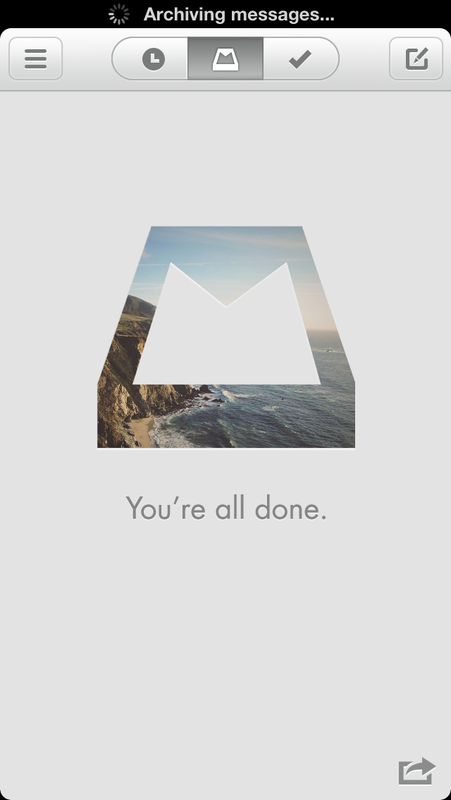 Mailbox looks cool but I just don’t think it’s for me. wow ~ so cool! thank you for sharing this!